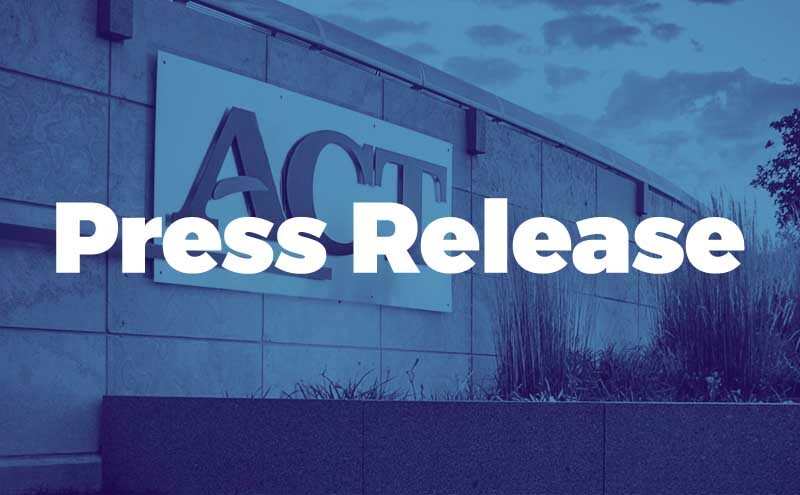 IOWA CITY, Iowa—Santonu Jana, a finance and strategy executive with extensive experience serving the K-12 education and educational technology markets, has been named chief financial officer at ACT. Jana’s selection as CFO is the latest in a series of moves by ACT to transition from an organization best known for assessment to a global leader across the fields of learning, measurement, and navigation. Jana is managing principal for Axle Finance and Strategy Consulting. He previously served as vice president for finance at Scantron and Pearson Education, held senior positions with Advance Auto Parts and American Express, and was as an associate with McKinsey & Company, the global consulting firm. Throughout his career, Jana has earned a strong reputation in areas aligned to ACT’s transformation, including financial analytics, strategic planning and acquisition integration. Jana earned a Master of Business Administration degree from the Tuck School of Business at Dartmouth College in Hanover, New Hampshire; was awarded the Chartered Financial Analyst designation by the CFA Institute in Charlottesville, Virginia; and earned a Bachelor of Electrical Engineering degree from Indian Institute of Technology in Kharagpur, India. Jana will begin his duties at ACT on February 25. He will be moving to the Iowa City area with his wife and their two children in the summer. ACT is a mission-driven, nonprofit organization dedicated to helping people achieve education and workplace success. Grounded in 60 years of research, ACT is a trusted leader in college and career readiness solutions. Each year, ACT serves millions of students, job seekers, schools, government agencies and employers in the US and around the world with learning resources, assessments, research and credentials designed to help them succeed from elementary school through career.